As I’m sure I’ve mentioned before, I love to trawl crafting and craft related blogs, and was going through the archives of Apartment Therapy last week and came across this post about hand carved wooden baby spoons and so totally fell in love with the idea that I started trying to find out where I can get some non-pine wood from. Lucky for me, this weekend just gone, I found a post on freecycle.org advertising Jacaranda firewood for asap pickup, so I went and picked it up, and purchased a sharpening stone from Mitre 10 (hardware store) on the way home and started in. Once home I got started with a newly sharpened pocket knife, and a large branch, after a bit of carving I decided that the branch was too large and that I should make a soup ladle out of that branch and use a much smaller branch to make a baby spoon. I also learned at this point that my multi-tool pocket knife was far too awkward and uncomfortable to do much carving with, so traded it for my small kitchen knife, which got a good sharpening as well. 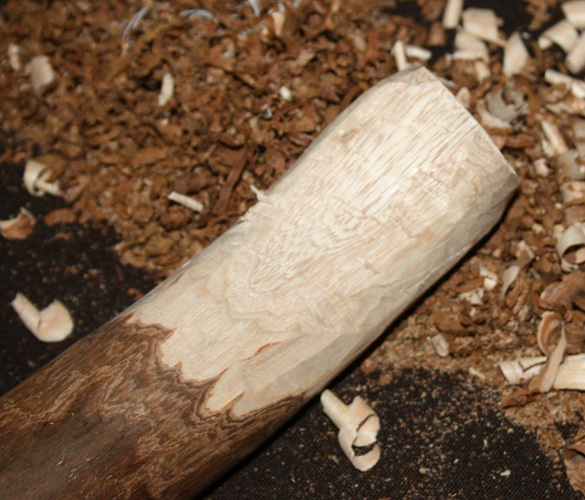 I started with a much smaller branch, shaved off the spoon end and then scraped all of the top layer of bark off. From there I shaped the spoon end and then area between the spoon and the handle, and then carefully cut a criss-cross pattern into the spoon bowl and chiselled it out with my knife. 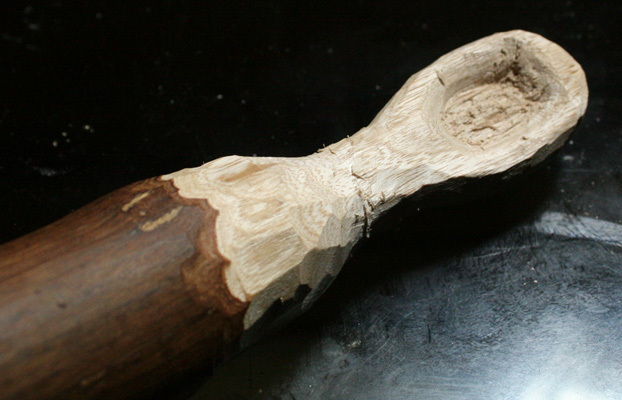 I then went around the whole spoon head and refined the shape so that it was more pleasing to the eye. I decided to leave the handle of the spoon as the original size of the branch as it makes it easier for Emmaly to get her hand around it. Little spoon handles always look so difficult for her to use. 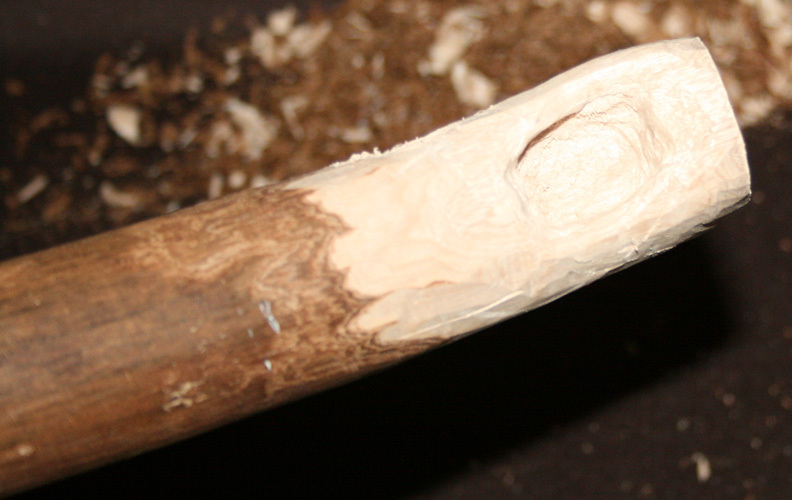 Once that was completed, I shaved off the extra end of wood until the spoon and handle came away and then sanded the spoon. So far I’ve used 100 and 120, and need to go to the hardware store this week and pick up some finer gradings of sandpaper and some flaxseed oil to oil the spoon with. Some carvers wet sand as well, but I thought I would let Emmaly use the spoon as a test as to how much wet sanding is really required and what maintenance is needed to keep it looking nice and so that it is usable.